The way I look at it, there is really only one difference between fiction and reality, and no, it doesn't have anything to do with magic. It's that someone steps outside of the script for our lives that we're all far too familiar with. You know the one- wake up, go to work/school, have dinner, watch TV, socialize a little, go back to sleep, repeat. At some point, whether it's the most common and mundane drama or the most profoundly removed from the laws of physics kind of fantasy, the main character is put in a position where s/he makes a different choice. I find it comforting, to think that the only qualitative difference between the adventures of the best protagonists, and myself, is that they stepped out of the ordinary. I could do that, you could do that. It doesn't seem too implausible. S.M. Boyce's Kara Magari does just that while out hiking and is transported into another world teeming with danger, intrigue, and the sort of world building that makes the reader want to linger. I could definitely use reading more about the world of Ourea, and with Kara's difficulty adjusting to college life and the loss of her mother, Ourea was just what she needed. In some ways I am reminded of The Lord of the Rings, in that an unsuspecting hero has great power and responsibility thrust upon him/her, and the fate of everyone is somehow tied to their journey, but in a new and wonderful turn of events, Lichgates focuses on the trials, tribulations, discoveries, and adventures of a girl. I know that I've probably just not read enough high fantasy, but the female protagonist in a story that isn't, at it's heart, just a love story with a fantastic setting, seems kind of hard to come by. Her character may take some warming to, but if you're in for an otherworldly adventure, well, then of course, I highly recommend following Kara's example and opening the book. We're pleased to be joining the ONDINE book blitz today. 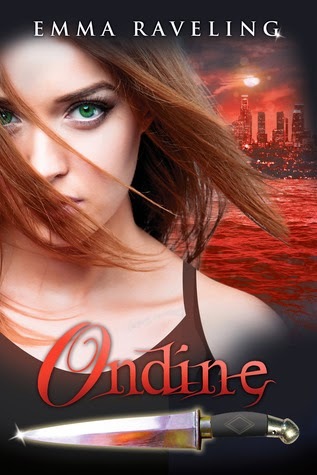 Take a look at this exciting young adult urban fantasy novella by Emma Raveling. 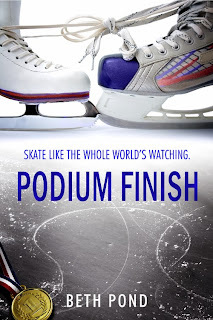 Today we're chatting with author Beth Pond about her novel, PODIUM FINISH. Join me as we get to know Beth and her book. 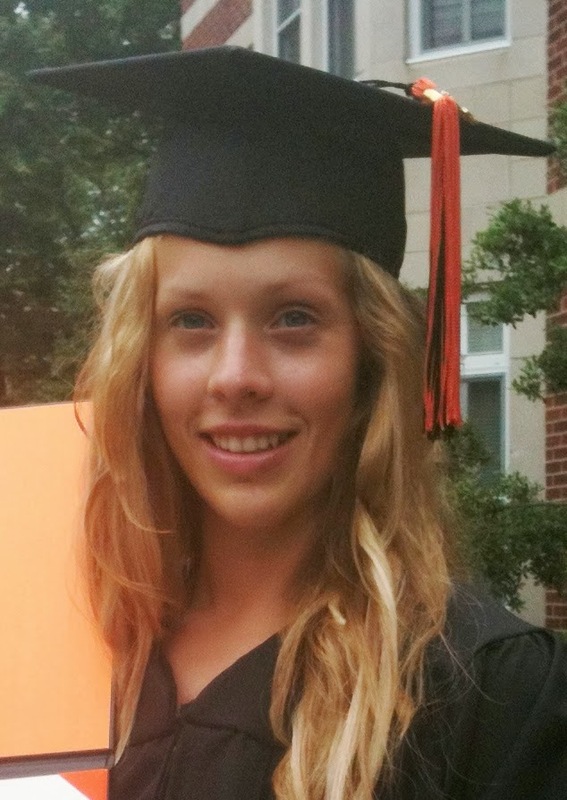 Welcome to We Do Write, Beth! Tell us a bit about yourself. Hobbies? Career? How long have you been writing? I’ve been writing since I was a little kid. It didn’t matter where I was. I always had a notebook and pen at the ready. I’d sit at the family computer for hours and write stories. I was also pretty sporty as a kid, something that has definitely influenced my writing. I competed in track and field in college (shot put and hammer) and am currently working toward earning my 1st degree black belt. Tell us about PODIUM FINISH. What's the story about? Podium Finish was inspired by the 2006 Torino Olympic Games. I found the athletes’ life stories fascinating—the struggle, the sacrifice, the unknown, and hopefully, the joy, and suddenly, Alex and Harper were born. Podium Finish went through several revisions, so it was a combination of both. I had some friends who read drafts at various stages and gave me wonderful suggestions, but I did a good portion of the editing on my own. I’m currently working on two new projects and having critique partners and beta readers has proven incredibly valuable. It’s nice to have cheerleaders in your corner. I try to be a planner, but I’ve written some of my favorite scenes by the seat of my pants. I have a major internal editor, so often times the hardest part is just getting the words on the page and letting them breathe. I’d love to be able to fly. No more getting stuck in traffic or pricey fill-ups! Plus it would just be an awesome super power to have in general. Nothing really jumps out as being the weirdest thing I have googled, but I was reaching organ donation for a book I’m working on. I’d done so many searches that organ donation ads started appearing on the sidebar of my browser and facebook. Good thing I wasn’t researching anything too scandalous! The Olympic ice dancers’ moves mirrored one another so well that the sportscasters couldn’t harp on the technique. Finish this sentence: If I'm not writing, I'm probably ... at the gym. Seriously, I’ve gotten some of my best ideas while on the treadmill. I’d also like to give a shout out to my best friend, Ana. She used to wake up at the crack of dawn and ride 3 hours with my mom and brother to see me compete in my college track meets. If that’s not friendship, I don’t know what is. Seriously, she’s a saint, and she’s always very eager to read whatever it is I’m working on. 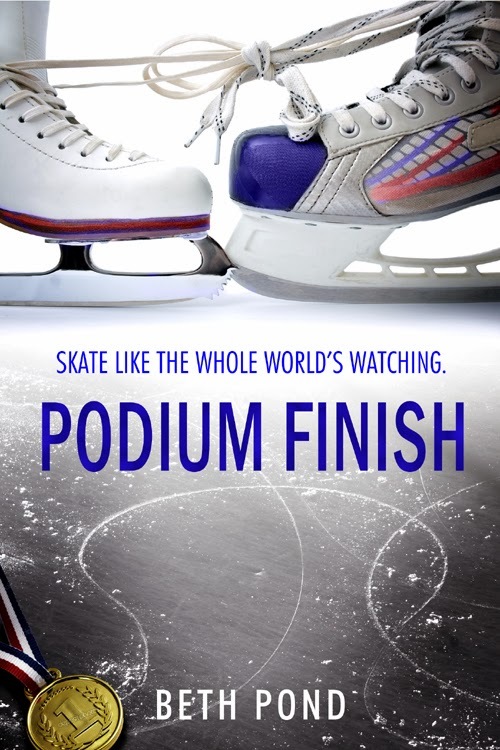 Podium Finish is available for Kindle and Nook. It’s also on goodreads, so please mark it as “to-read.” I have a blog: www.pondacrossthepond.blogpost.com and you can follow me on Twitter @BethPond90. If you like mysteries, manga, or fantasy, you just might like today's interviewee. TJ Perkins is here to discuss her well-rounded career as a writer and publisher. 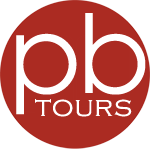 short stories for young readers have appeared in the Ohio State 6th Grade Proficiency Test Preparation Book, Kid’s Highway Magazine, and Webzine ‘New Works Review,’ just to name a few. She’s placed five times in the CNW/FFWA chapter book competition. Her short story of light horror for tweens, The Midnight Watch, was published Oct 2007 by Demon Minds Magazine. TJ is available to conduct speaking engagements and workshops. 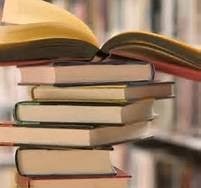 Finished works of her young reader’s chapter books are entitled: The Fire and the Falcon (which won two chapter book awards), Wound Too Tight, Mystery of the Attic, and On Forbidden Ground. Published books in the Kim & Kelly Mystery Series include: Fantasies Are Murder, The Secret in Phantom Forest, Trade Secret, Image in the Tapestry (which won a chapter book award) and In the Grand Scheme of Things (all with GumShoe Press 2006). Mystery of the Attic was made into a play by the Café Theater in NJ, Oct. 2005. TJ has developed an all new cross-genre of fantasy/manga. Silver Leaf Books publisher her 5-book series Shadow Legacy; book 1 is an award-winner. Welcome to We Do Write, TJ. How long have you been writing? Since I was 14. I realized I had a knack for it when I was 12, but started to perfect storytelling in high school. I finally got serious 18 yrs ago. I’ve been published for the past 8 yrs. Tell us about your books. What have you published? contract to do a 5 book fantasy series for teens entitled Shadow Legacy. The first 3 books are out with books 4 & 5 to follow in 2014. 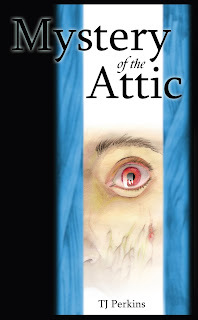 Mystery of the Attic was based on things that really did happen to me when I was 13 yrs old while living in an old farm house. So, that one was easy. I grew up loving Nancy Drew, Agatha Christie, Sherlock Holmes and all the greats and wanted to create a new mystery series for African American girls, thus Kim & Kelly were born. The idea for Shadow Legacy was sort of wacky. I fell in love with Anime because of my kid’s interest, and video games (mainly Final Fantasy). 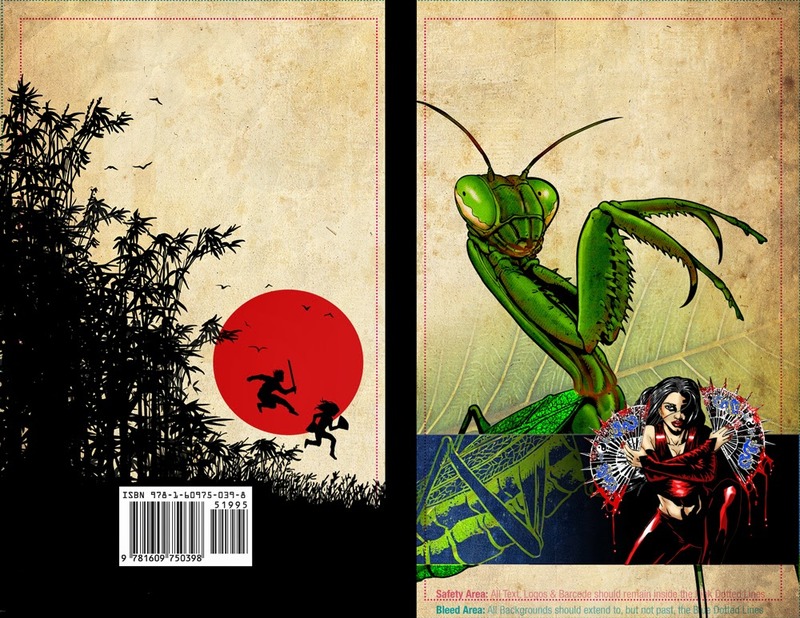 So, I decided I wanted to write a story using the only thing that hadn’t been ‘written to death’ and that was ninjas. I took all that I’ve seen, all that I knew, all my past experience in martial arts and weapons and created a story that has become the first cross-genre of its kind – fantasy/manga, which is fantasy that reads like a good manga. Fabulous! My daughter loves manga and fantasy. I see an extra visit to Amazon in my future ... Do you have a critique group/partner or beta readers, or do you self-edit? I have no help at all with my books. If I need an editor for my personal work I have to find someone and pay them. 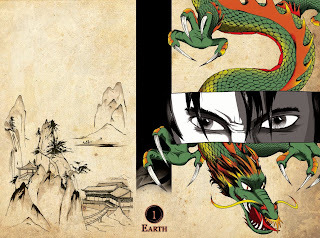 Silver Leaf Books provides the editor for Shadow Legacy. I’m just doing research for my newest novel, but I what am really waiting for the last book by Maria V. Snyder “Taste of Darkness” from her Healer series. Maria and I are good friends and she always conducts a writing workshop with me at Balticon. That would be awesome! I have so many questions just for my pets that I'd never leave the house. What's the weirdest thing you've googled? Good, albeit snowy, morning. Today, we are excited to take part in the DARKNESS OF LIGHT & FIRE IN THE DARKENESS blog tour. 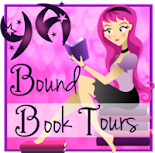 And we have the author of the series, Stacey Marie Brown, here for an interview and a GIVEAWAY! Welcome to We Do Write, Stacey! Your books sound great. How long have you been writing? I have been writing since I was a child. Writing and creating stories has always been a part of me, but I only thought of it as a hobby. It’s just been in the last couple years I realized this is what I want to do with my life. Tell us about The DARKNESS series. What’s the story about? 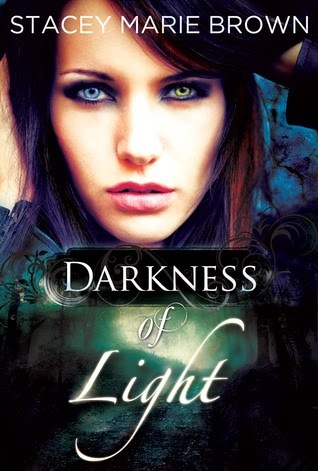 Darkness of Light is basically about someone who doesn’t feel she fits in the world. Feeling different, insecure, and treated like a freak is something a lot of people feel at all ages. This story is how Ember figures out who she really is and learns to be happy with herself, no matter what other people say or think. Many people never feel like they “fit” in with what the society says they should be. Ember goes against that and finds her place. 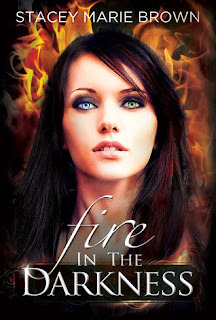 Fire in the Darkness is about how she handles it. Ember’s world is constantly being turned upside down and threatened. Nothing is ever what it seems. 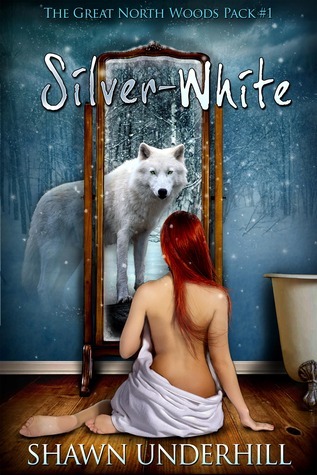 She has to face more lies, deceit, and heartache from those she loves, while also dealing with her new found powers. Her true character develops and strengthens in how she deals with what comes at her. Dwellers of Darkness is her starting to put it into action. She has grown and changed a lot and in this one she takes more control. Ember sounds like a character many people can connect with. How did the idea of the story come to you? I know that feeling. :-) Do you have a critique group/partner or beta readers, or do you self-edit? This is just my opinion, but I feel you should not edit your own work. You are too close to it and sometimes do not see the simple mistakes or holes in it. I have beta readers, and all of them are good at different aspects of reading my story. Every writer is different, but I only like a few betas. Too many opinions and thoughts can actually make you lose the story you are trying to tell. A few people you really trust to be honest and helpful works the best for me. I also believe in getting your work professionally edited. I am a little of both, but mostly a pantser. I like having a basic idea of what is going to happen; but every time I try to structurally plan a scene my characters go in the opposite direction. When I let them go, they always take me to a place that’s even better than what I was planning. I love them improvising in my head, and I just type out what they are saying. These characters are so real to me. I can see their movement, habits, phrasing. They are my actors, and I am the director. Depends on the day. Sometimes it can be finding time; sometimes it can be writer’s block or struggling with a certain scene. Writing a series brings on another set of problems. Right now I’m writing my fourth and (maybe) final book in The Darkness Series, and I have to pull through and wrap up a lot of storylines and conflicts. It can get confusing and difficult to have them tie together and come out organically. Caffeine! And probably music. Funny enough I have to cut off things nearby when I write—Internet, food, TV . . . any distractions that keep me from really focusing on my writing. read several chapters of each book a night until one grabs me, and I only want to read that one. Then I know how interested I am in that book. The ability to travel with just a thought. Also the ability to time travel and live longer. Life feels too short to me. I love all magic so any power would be cool! The things that writers google probably put us on the government watch list! With paranormal I am constantly googling weird stuff. Ha! Very true. Finish this sentence: If I'm not writing, I'm probably ... working. Sad and pathetically true! A few times you can catch me out with friends or hiking, but mostly I am working and writing! Any down time I get, I focus on my book stuff. Right now Book 3, Dwellers of Darkness, is going through editing, and I am starting on the final book. I also have another series starting to form in my head. Writers never stop working. Who would you like to thank for supporting you through this process? I could never do enough shout outs to those that have supported me. (Especially my Eli followers!) To all those who have been with me since the beginning or recently joined . . . I LOVE YOU ALL! You make it worth having to share Eli! Can you believe the year is almost over? Crazy, right? This will be our last week posting until the new year, so lets dive in and enjoy. Today we're talking with author TR Patrick about the award winning YA Dystopian novel, PLATFORM 21. Well, I do write as well – so it seems I found the right place! As for me, I’ve been a sailor, politician, engineer, writer, and a ghost hunter. Don’t ask me how I managed to get it all done, it just sort of happened. As a military brat, I traveled all around the United States, and as a Navy Sailor, I’ve crossed every single latitude line this earth has to offer. In my travels I found some incredible stories that demand to be told. So, I gave in to those voices in my head and penned together a few novels. Platform 21 was the first one worthy of publication. Not long enough, but I started when I was nine years old. I hope to be writing for the next fifty years or so. It all depends on my health I guess. Sanity helps as well. Tell us about PLATFORM 21. What’s the story about? 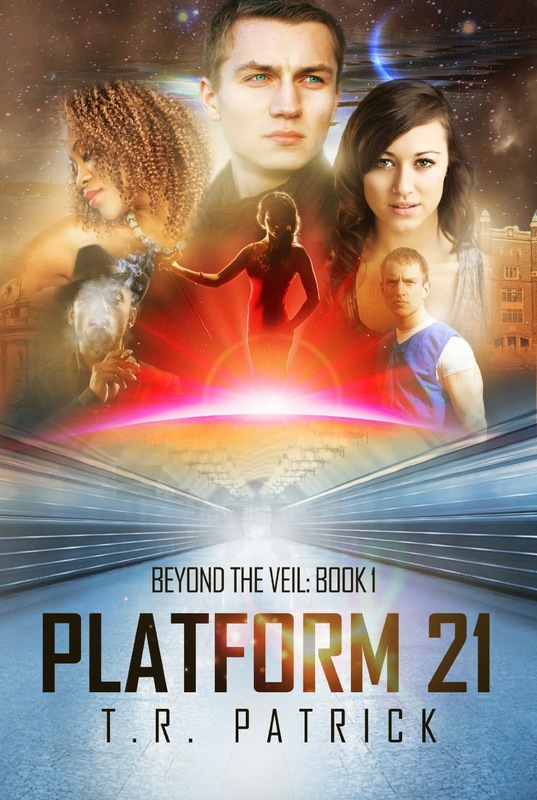 Platform 21 follows Luke Gibson, a High School Sophomore, in the year 2052. 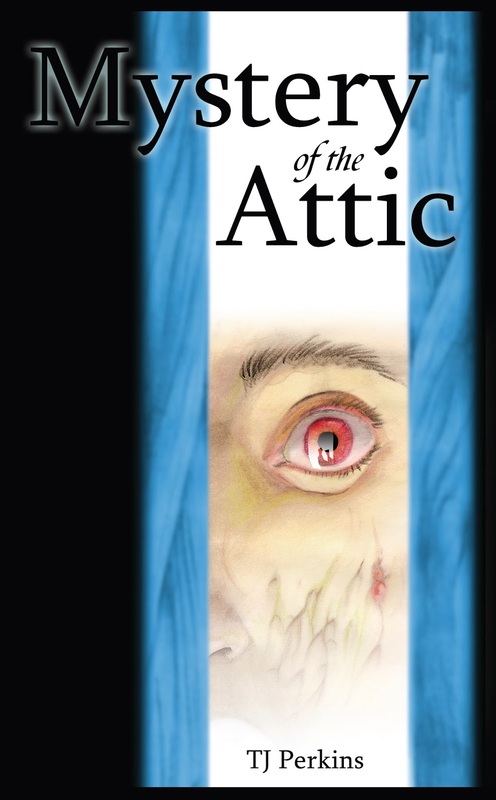 His life is suddenly turned upside down after he inexplicably survives what should have been his untimely death. He and his entire family were murdered in a devastating terrorist attack which claimed the lives of 80,000. Afterwards, he finds himself in some kind of alternate reality. His family, home town, and just about everything else is different – except the event that brought him to his new world. He watches as history repeats itself, all while reeling from the realization his sister, Laura, was the victim of a brutal homicide years before. Luke sets his sight on discovering the truth about his sister. He uses her death as motivation to push on through life, a life that didn’t belong to him. Along the way, he meets a mysterious girl named Angela. She was there with him when he should have died. Angela was with him in his dreams. She is the only one besides Luke who recalls what happened in their previous life and together they investigate what happened to Laura. The closer Luke and Angela get to the truth, the more they begin to realize Laura’s death is connected to the global conspiracy that consumes the world. I have no idea. I’m still trying to figure this one out myself . . . It all began with such an obscure concept, I’m not really sure I want to reveal the idea that started it all. However, I could envision a beginning and an end. From there, I needed characters, a strong supporting cast, sub-plots; etc. In the end, the characters and their stories ended up changing most everything. 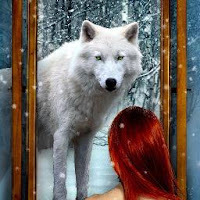 Beyond the Veil – as a series – has had its direction changed considerably throughout my time writing Platform 21. In a way, my characters drove the story, and how it ended up being shaped. Yes. All of the above. I also have a professional editor. 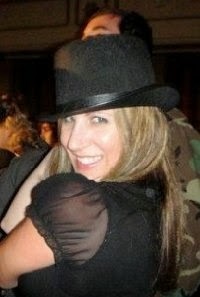 Her name is Victoria Rae Schmitz and she is the owner of Crimson Tide Editorial. Her efforts made the flow of the writing superior. To me, there simply isn’t a better choice for editing. Every writer should enlist the help of test readers. The question is, “When does Test Reading begin?” Well, that answer is simple. It begins before anything else in the writing process. You need a group of individuals to bounce ideas off of. Talk about your characters to them, where the book is going, etc. It’s a difficult balancing act because you don’t want to spoil the book (you want to get as much honest feedback as possible, and spoiling something takes the edge off their initial reactions to reading it). The next question, “When does test reading end?” Never! Even after publication, listen to everyone who has the time to read your book. There is no feedback more valuable than that of a paying customer. Yes – though I’m not sure what these terms are suggesting exactly. I’m going to take a wild guess and assume a plotter is someone who thoroughly outlines their book prior to writing, whereas a pantser is flying by the seat of their pants. I’m a plotter in that I spend a lot of time building my world. I have a thorough understanding of what’s happening throughout the world, and beyond. I have an entire encyclopedia of characters (most of whom weren’t introduced in Platform 21) who are ready to act at a moment’s notice. I know the beginning and the end, and how/where the important plot points come to be. However, I do not outline anything. I introduce the characters to their setting, and let them go from there. My writing style requires an awful lot of role playing. It is my opinion that just like in real life, everyone in this world thinks they are the main character of their own story. They each have their motivations, and flaws. They all have a breaking point, they all have a vice. I engineered the characters in a way that they would cross lines, create drifts, and expose one another to their weaknesses. Everything in Beyond the Veil is Character Driven. My characters have surprised me, changed the entire course of the series, and left me in shock and awe. There are some parts of this book that blew me away, and in all honesty – there were some things that I didn’t even see coming. My writing is at its best when my characters are in control of their own destiny. As a result, I write from the beginning to the end, and I do not jump around. How can I write page 257 if I don’t know what happened on page 132? I could tell you, but then I'd be giving away my secrets. ;) What’s the hardest part of writing for you? Getting into character, and maintaining my ‘groove’. I can’t write while distracted, and I am distracted easily. I love writing, but sometimes getting started is a lot harder than it should be. I never write a line unless I can get into character. Considering how many characters I write, it is a very difficult process to begin. I’m both an actor and author when I’m at the writing desk. It’s much harder than it seems. As a Young Adult author, I feel it necessary to maintain a clean image – however I must admit that an Irish Coffee goes a long way in helping me find my writer’s groove. A good set of noise canceling headphones and a keyboard are also absolutely necessary as well. A good working computer with a word processor . . . and the right music mix. I don’t read when I’m actively engaged in writing. However, I did just finish “Like Ice” by Sherry Torgent and I began Divergent by Veronica Roth. Unfortunately, my Kindle Paperwhite is put away for now. It’ll be a few more months before I take a stab at another book. Infinite Energy. I don’t want to sleep unless I want to. My mind will never tire, and my muscles will never break. I just want to have the ability to use all 24-hours as it seems I never have enough time to work my full time job, spend time with my family, and write. I’m tempted to answer this question with, “What does the fox say?” – But I feel that would be taking an easy way out. The weirdest google search I’ve probably run over the years would have to be . . . hmm . . . there are quite a few options here . . . So there was this one particular grave stone in Riverview Cemetery that caught my interest. It is a giant cube, and it sits right across from the main entrance of the cemetery. I wanted to know everything about the marker, who created it – why, and how. It led me down the strangest bit of history I’ve encountered. To go any further would reveal a potential spoiler for my future books, so I’ll leave it at that. I'm very tempted to embed the video of What Does the Fox Say? into this post. Hehehe. But I digress. Quick writing test! Use the following words in a sentence: platform, formation, and animated. The raving rhinos roamed through plains of the valley in formation, as the necromancer animated the remains of their ancestors on the platform of the plateau above. If I’m not writing, I’m probably working, or sleeping; there isn’t much time for anything else. So many to list – if I forget anyone, it was not intentional! My test readers, who shall not be named in case people want to hound them for what happens in the books to come. Regina Wamba, an amazing cover artist and brilliant mind behind the cover of Platform 21. Victoria Rae Schmitz, of Crimson Tide Editorial, the book would not be what it is without your help. The people who make those chocolate covered espresso beans. 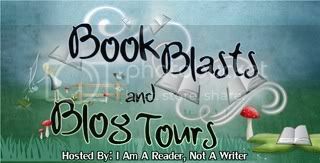 Tia Souders – Simply one of the best book promoters in the business! 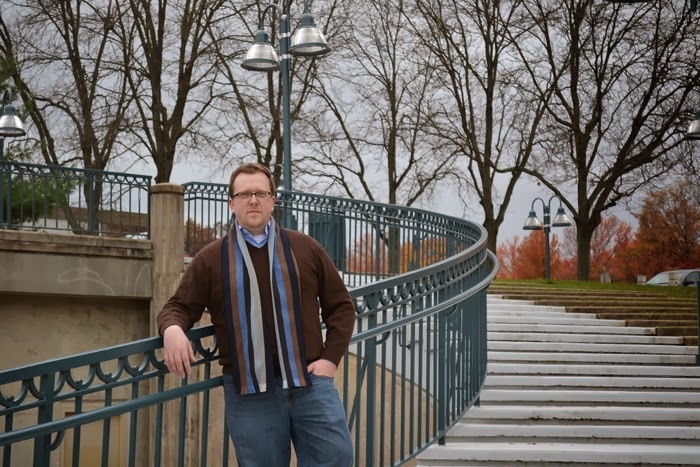 Murk Patrick, the incredibly talented photographer who captured my author photos. And that yellow lab who sits next to me at my writing desk.